Unpopular opinion: I have no interest in pumpkin spice lattes. That’s not to say I don’t love autumn—on the contrary, I definitely do—but if you’d ask me what actually makes this time of year worth looking forward to, a lot of that it to do with fall jackets. Bare shoulders and bikinis are nice, but give me a time of year when I can feel the warm, fuzzy textures of a knit on my shoulders or slip a buttery, leather jacket over pretty much anything—that’s what I’m most looking forward to. Thankfully, with chilly temperatures around the corner, the fall jacket options are endless, spanning from Matrix-ready textures and classic plaid to retro corduroy and the pattern of the moment, animal print. Best yet? You can buy in for as low as $35. Ahead, take a look at the 53 fall jackets that hit on all the major trends and are so much more satisfying than a pumpkin-flavored drink. 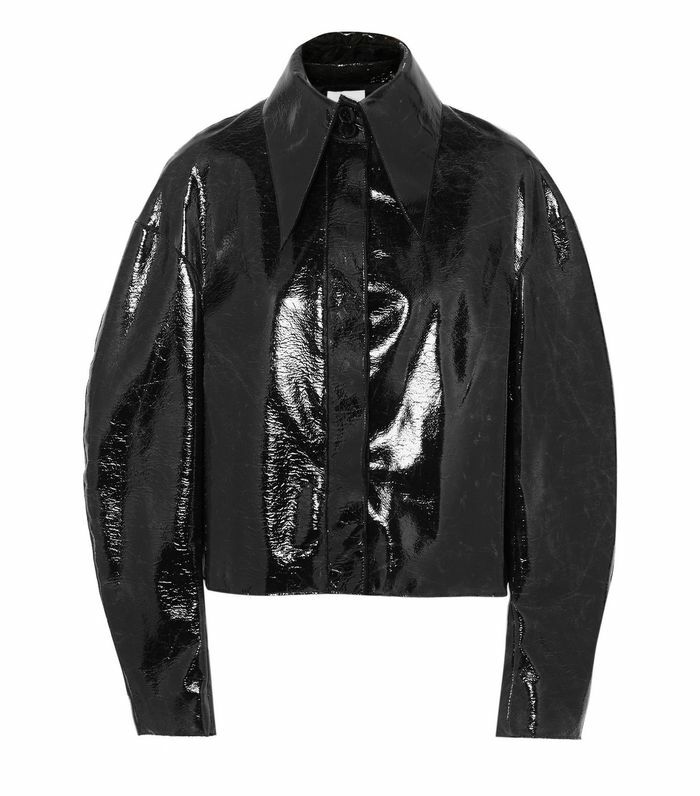 Slick, dark, dramatic—we’re all about this bold topper trend. Wear with coordinating retro pants or solo over your favorite pair of jeans. Fall 2018 is about all. things. animal. print. Go for a classic Patagonia or opt for an updated design when making this very practical purchase. This is not a trend for remaining incognito. The fuzzy topper trend stays strong in 2018, and we encourage you to embrace it (literally). You’ll wear and layer this weather-appropriate piece from now until May. To keep your denim in rotation all 12 months of the year, a cozy, interior lining is key. The more pillowy the better. Is it a shirt? Is it a jacket? That's your business. Go for a classic camel, a forward see-through texture, or something that falls in between. This classic piece is worth the investment, but the pulled-together look can also be scored on the cheap. This year’s bomber trend features unique textures, embellishments, and unexpected silhouettes. You probably already own a timeless moto, but this season, we’re also feeling these uniquely updated options. Up next, take a look at the $50 shoes that were all over the new collections at New York Fashion Week.